Are you currently looking for SQL developer jobs? Great – that means that you already know at least the basics of SQL, and are ready to enter the job market ASAP! But, with that said, you should first figure out what it is exactly that you will need in your future workplace. SQL skills are just one part of a bigger picture – there are many more things that you should keep in mind! All of these things will be covered in tutorial ahead, though, so read on! 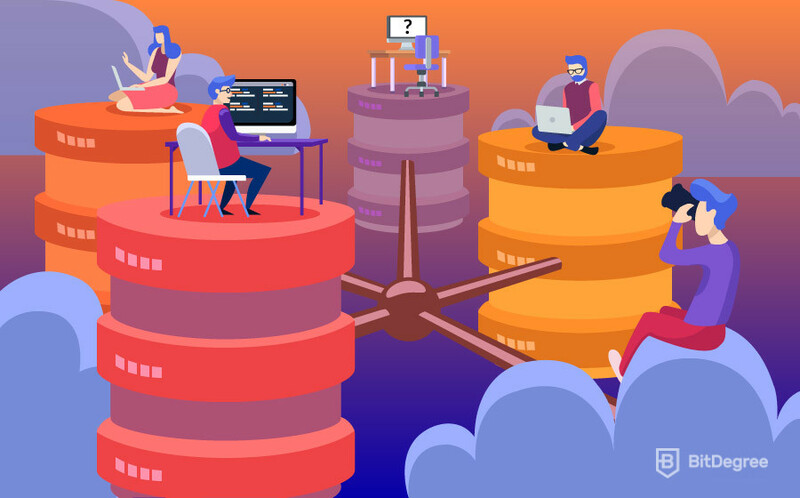 Since SQL development is a multi-layered topic, we’ll cover some of the most important aspects of SQL developer jobs by first segmenting these developers into different skill groups, and then talking about the specific requirements of each group. Whether it’s the salary that interests you or the responsibilities that SQL developers have – everything will be covered in the text below. Most jobs around the world have skill levels – that’s common knowledge. Well, SQL developer jobs are no different! Even though some professions have their own, specific skill distinguishment methods, we’ll stick to the generally-accepted way of classifying a developer’s skills. We’ll use three big groups – entry-level, junior and senior SQL developers. Let’s not waste any time and move straight to the beginner group. If you have just recently started looking for SQL developer jobs, you might have noticed that the entry-level SQL developer jobs descriptions are rather… vague. It seems as though each workplace has its own, specific classification of what they call an “SQL developer”. And that might perfectly well be the case! Even though it might be tough to sometimes distinguish beginner SQL developers from their junior colleagues, entry-level SQL devs are usually described as people who have just recently finished their studies and have a lot of motivation to start working and continue learning but have close to no SQL skills and prior work experience. This is why the entry-level SQL developer jobs vary so much in their requirements – some companies might agree to take in people who are fresh out of a learning institution, others will refuse anyone who doesn’t have at least a day of experience with past work. In a typical scenario, most beginner SQL developer jobs are not going to ask you to have any prior experience. Surely, if you have already worked in a SQL-related job, you will have a major advantage over your competitors, but it’s usually not mandatory. Most workplaces know perfectly well that a beginner SQL developer might have some knowledge and comprehension of using SQL in an academic environment, but has most likely never used it out of their comfort zone – for business development, data research, and so on. This is why the majority of starter SQL developer jobs are going to be centered around learning. Special training programs, constant supervision, mentorship from the senior members of the team, activity reports… There are many different ways of how employers can train (and test) their new, beginner employees who still lack the necessary SQL skills to start working full-speed. As for the more technical requirements, a lot of beginner SQL developer job descriptions will, first of all, ask you to present your potential employers with your Bachelor’s diploma in Computer Science or any other IT-based, SQL-related subject. Truth be told, however, that when it comes to programming, in general, the job market has become much more lenient in terms of education over the recent few years. By that, I mean that a lot of employers these days are much more likely to hire people who have learned SQL on their own than they were, let’s say, five years ago. And that’s not a rare occurrence, too – studying programming online (with the help of courses, tutorials, and tutors) has become a very popular concept among wannabe-programmers. Other than that, most entry-level SQL developer jobs are going to require you to be a “team player”, to understand SQL and the processes around it, to be motivated and passionate about what you do, to be knowledgeable of some of the more popular programming languages out there, and so on. Entry-level SQL developer roles and responsibilities revolve around the concept of learning. Admittedly, this is the same as with most other career paths out there, and SQL developer jobs are no different. But what does this mean? To put it frankly, beginner SQL developers don’t have many responsibilities, but the ones that they have are quite concentrated and require a lot of attention. If you’re a beginner SQL developer and have just started working in a new company, your employers are going to want to test the extent of your knowledge, your workload, and speed, the way that you deal with various tasks, etc. You will most likely receive a few different tasks so that they could check what suits you, and what is still a bit too difficult. In most entry-level SQL developer jobs, you will have to work with T-SQL, analyze various SQL queries, perform data research and implementations, provide reports. Honestly, your tasks aren’t going to be all that different from ones that your junior and senior colleagues perform – it’s just that the emphasis will be put on learning and getting the hang of things as soon as possible. In general, SQL developer jobs are a really popular career path to take. Even though your options might be limited at first, if you work hard and put in the effort, you will soon advance to the junior and eventually senior levels of SQL development. With that, many more career path options unlock. 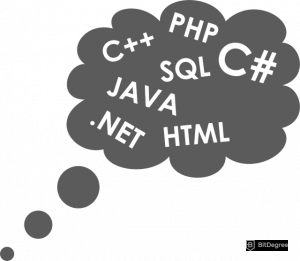 Since you will, either way, have to learn a few other programming languages while you work with SQL, you will broaden your possible career paths from data management all the way to software or even web development. You’ve probably noticed this from multiple entry-level SQL developer job descriptions, but beginners don’t really make a huge amount of money when it comes to SQL development. This shouldn’t be at all surprising, though – since most of your work will be slow and revolve around learning, it is only natural that your salary will increase with time and whenever you become more skilled in the processes that you’ll perform. According to Ziprecruiter.com, the average annual entry-level SQL developer salary should be around $61,000 USD per year. Now, you might think – that’s not a bad salary! I agree completely, but wait till you see the money that junior and senior SQL developers earn! Junior SQL developers are the “middle child” out of the three groups covered in this article. They are already significantly more experienced than their entry-level colleagues, but still, lack the required knowledge and skills to become senior developers. As stated above, the main thing that differentiates junior SQL developer jobs from the entry ones is an experience. In order to work as a junior SQL developer, you will have to have at least some sort of experience with SQL. This doesn’t always have to be past work, though! 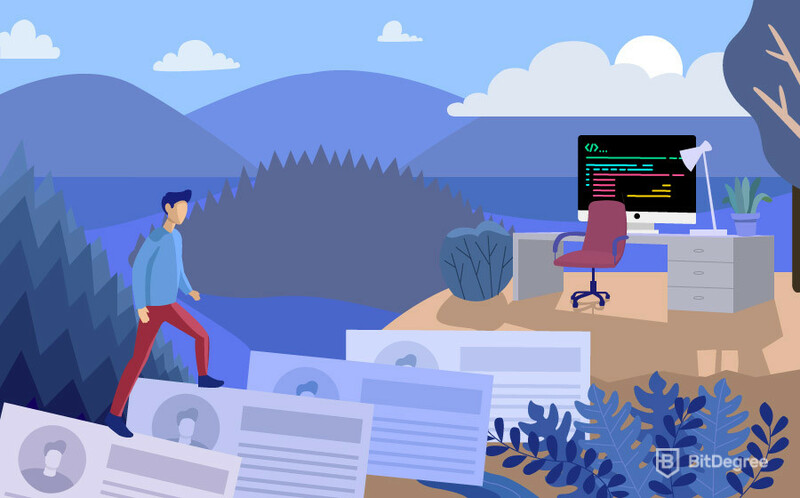 Although it is the most popular type of experience that a person can accumulate, some people choose to work on personal projects, go to internships, participate in various workshops and other SQL-related events, and so on. Experience is a broad word – you don’t necessarily have to have worked in multiple different jobs to now be able to look for SQL developer jobs! So, we’ve established that past experience is an important requirement if you want to be able to compete for a junior SQL developer job position. But what are the other requirements associated with the junior title? First of all, as a junior SQL developer, you have to be able to apply your SQL skills without requiring too much supervision. Surely, whether you’re a beginner or a senior developer, once you start working in a new company, you are going to be supervised. Now, the thing that makes all of these groups different is the amount of supervision that you’ll receive. While beginner SQL developers have each and every one of their tasks checked upon, their junior colleagues should already be able to mostly work alone, with just some periodic checkups. Junior-level SQL developer roles and responsibilities revolve around dealing with some of the main tasks that the company will provide you on a day-to-day basis. 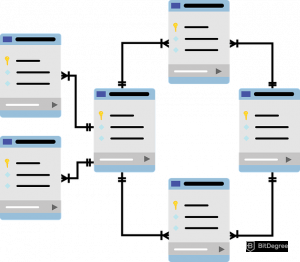 The vast majority of these tasks are going to be “a grind”, but there will be exceptions – tasks that will be a huge challenge to you, and that will test your SQL skills and motivation. In order to eventually enter the ranks of senior SQL developers, though, you will have to do a lot of studying and learning on the side, too. If you manage to perform your given tasks and also learn something new every single day, you can be sure that your employers will notice this and your salary and work benefits will increase, accordingly. Junior SQL developers have a lot of options work-vise. There are many different SQL developer jobs out there in the job market, so you’ll surely be able to choose one that’s appropriate to you. However, you should also keep in mind that there are probably going to be a lot of people competing for that same job spot. This means that you’ll have to demonstrate something out of the ordinary to your potential employers in order to stand out of the crowd. Once you actually manage to get a job though, there’s a whole lot of room for improvement from there on out. Hard work and a strong passion – that’s all that is needed! According to Glassdoor.com, junior-level SQL developers should earn around $72,500 USD per year. That’s a substantial increase from the beginner group of developers! Do keep in mind, though, that as your salary increases, so will the job requirements and your employer expectations. Being at the very top of the skill category, senior SQL developers are some of the most experienced veterans of the industry. It takes a lot of time and A LOT of hard work in order to become a senior in your profession. It is almost a given that senior developers spend all of their time (both in work and free time) thinking and learning about SQL and everything around it. It is worth mentioning that senior SQL developers rarely change their workplaces. If you’ve made the transition from a junior to a senior developer in a company, chances are that you’re going to want to stay in that company. However, if you are wondering about the requirements for senior-level SQL developer jobs, you should know that they are pretty big. Absolute (or close to) comprehension of SQL and all of the main tools and programs associated with it, being able to perform thorough analyses of various different queries, many years of proven (that’s an important word!) experience with SQL, superb critical and logical thinking skills, being able to both work in and manage large teams of people are just a few of the more notable requirements that people applying for senior SQL developer jobs should meet. As a senior SQL developer, you’ll have two huge “groups” of responsibilities. The first group has to do with your own daily tasks – these can involve huge individual or team-based projects, complex and multi-layered tasks and everything in between. On the other hand, however, you will have to be able to manage your time and also work with your younger, less-experienced colleagues. You will be a mentor to them – they will follow in the example that you’ll lead, which is a huge responsibility to bare! As a senior SQL developer, you’ll be able to receive some of the best working conditions that this industry has to offer. Even though there aren’t many different options when it comes to branching out, you will still be able to upgrade your career salary, work condition, and benefit-wise. GlassDoor states that senior SQL developers should make around $100,100 USD per year. That’s an insane amount of money! That being said, you should be able to understand just how much work and responsibility go into being a senior SQL developer. By now, you should be able to understand the difference between the three types of SQL developer jobs. I hope that this article has helped you figure out whether or not SQL development is the career path for you, and if the SQL developer roles and responsibilities suit you or not. Good luck!